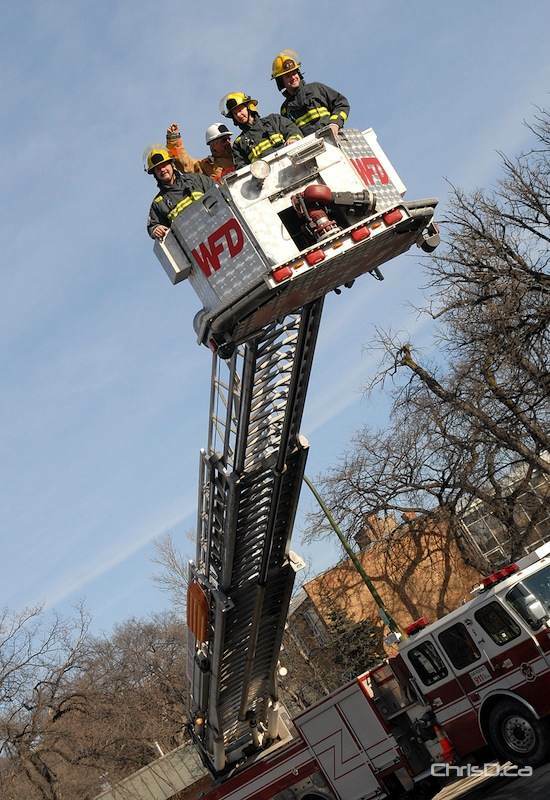 A group of four Winnipeg firefighters reached their fundraising goal of $30,000 while spending three days on the roof of a local firehall. The firefighters had been camping out on the roof of the Osborne Street station since Tuesday, soliciting donations from the public in support of Muscular Dystrophy Canada. On Friday morning, they finally came down with the help of an aerial ladder after just over three days. While in their tent, they received pedicures, learned yoga and decorated cupcakes. The campaign was in direct competition with Brandon and other cities across Western Canada.